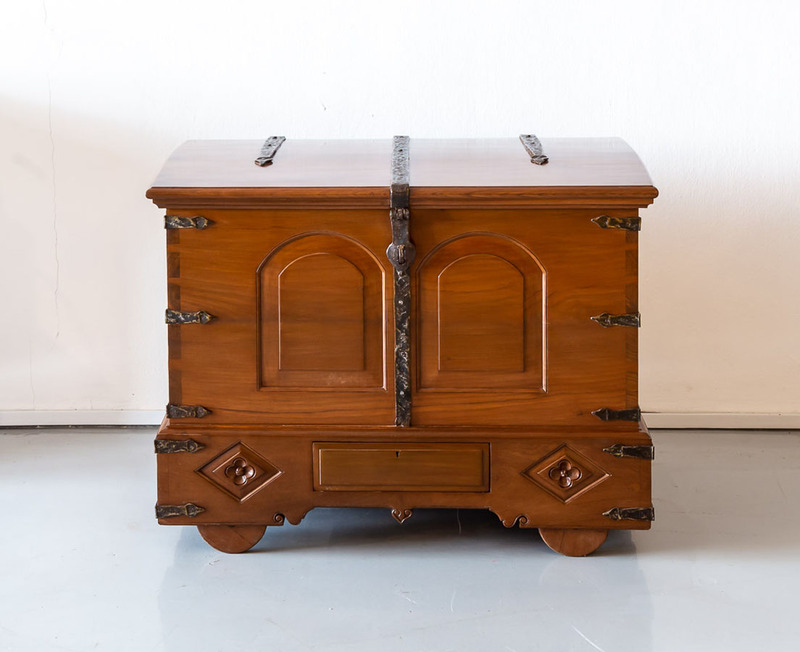 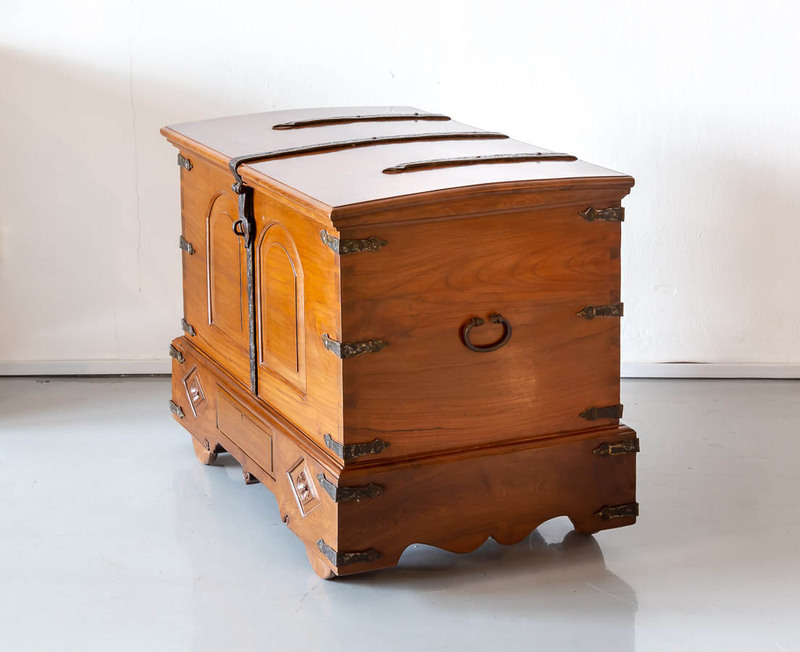 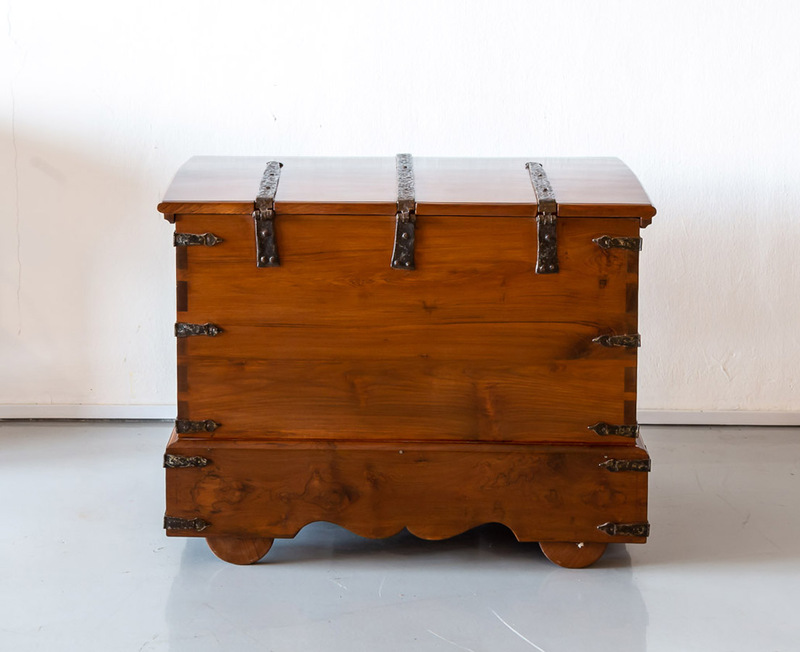 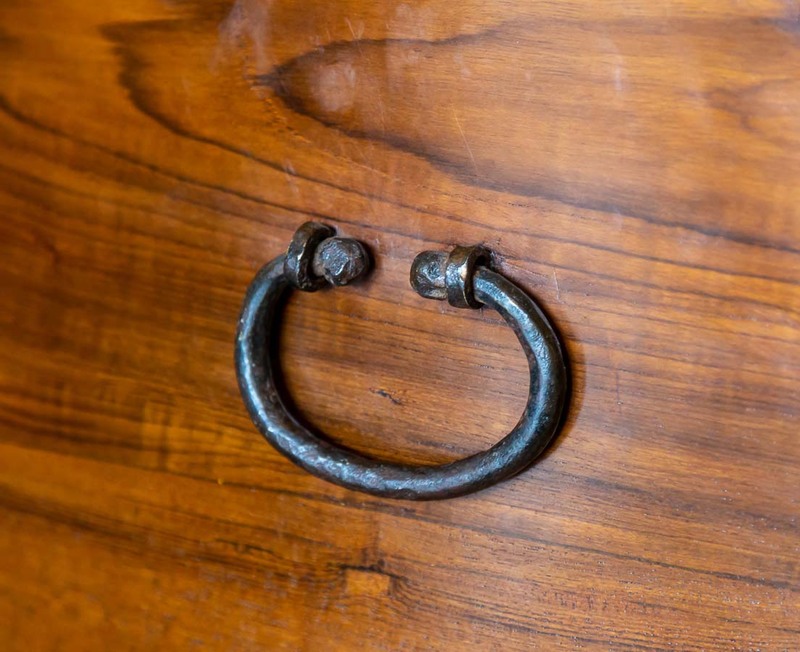 An unusual, iron bound Portuguese colonial teakwood chest on wheels with iron carrying handles. 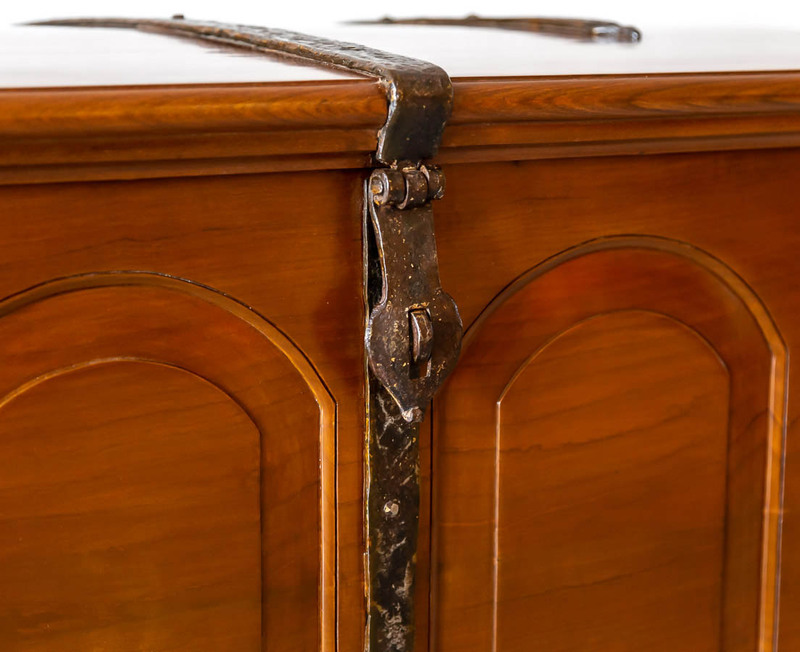 The slightly dome shaped top, made of one piece of nicely grained wood, is overlapping and reinforced with the two iron hinges and the locking mechanism on its outside. 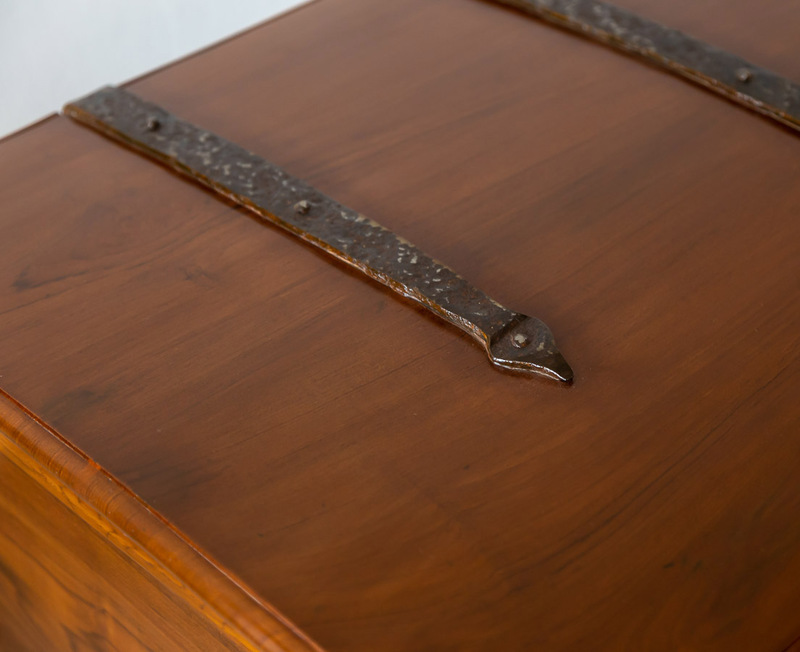 The side corners of the chest and the base are reinforced with iron banding. 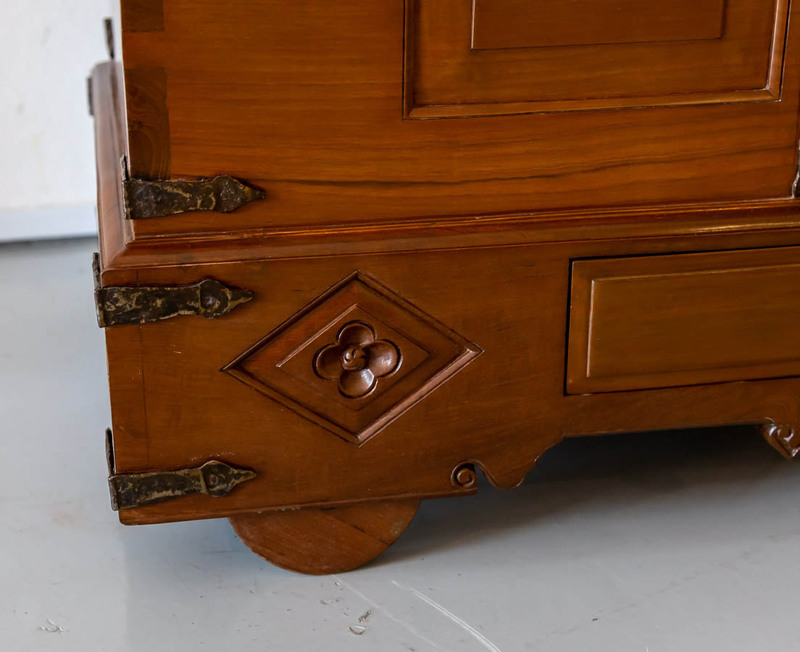 The front of the chest with floral relief carving and a deep drawer. 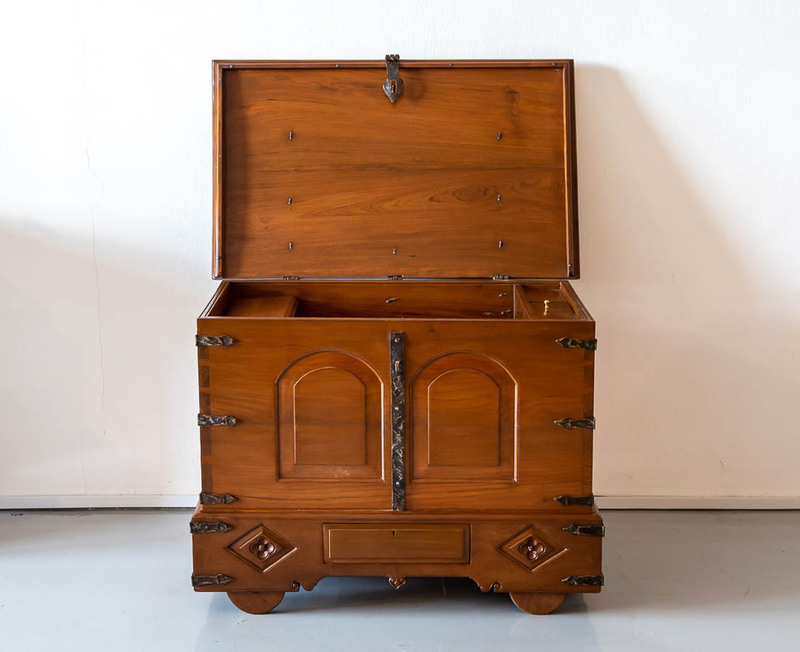 The inside with one large storage compartment and on the right side several smaller storage compartments. 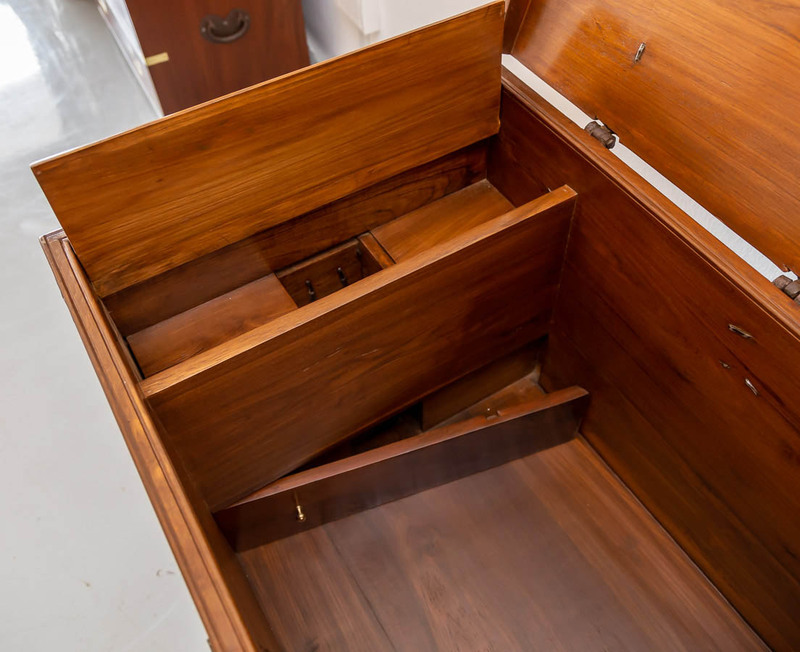 It also includes secret compartments. 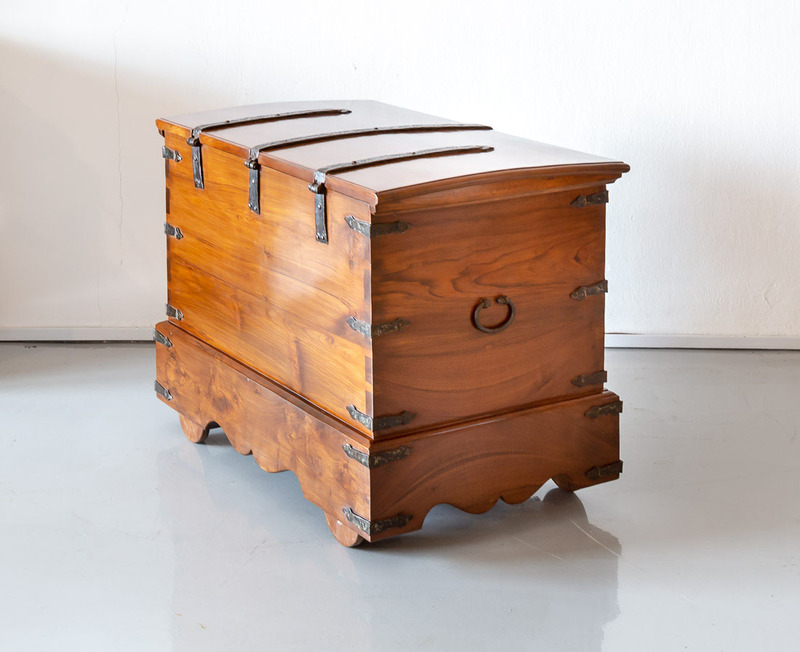 The chest stands on wooden wheels.